The Goupil family-includes Danny and Janell, their three children and three dogs. 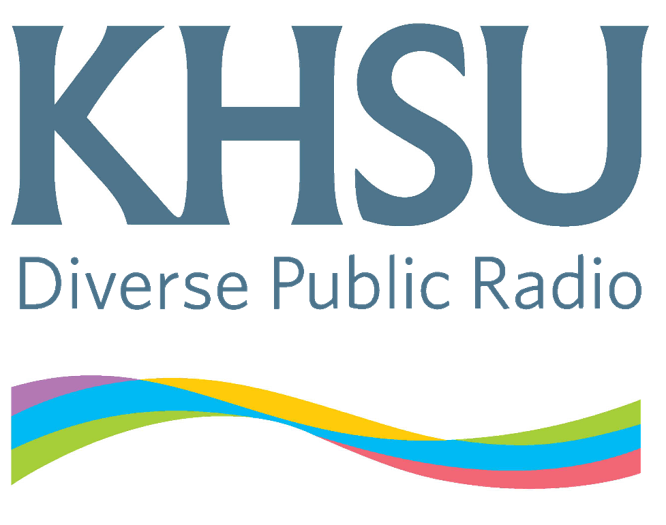 KHSU's Natalya Estrada talks with Janell Goupil who escaped the Camp Fire in Paradise and relocated with her family to Humboldt County. Twenty eight year old Janell Goupil held her baby while sitting at a hotel lobby in Eureka. She smiled as one year old Rhett played with the window blinds. Her other children, an eight and nine year old, started school this week and her husband is finally back at work. While living in hotels doesn’t seem like the ideal situation for most families, it’s a lot better than what the Goupils have been through in the last few weeks. “It was probably the worst and longest two hours of my life just hoping that they got out of Paradise," Janell said. She's talking about her husband Danny and their baby Rhett who were separated from her as they escaped the Camp Fire, the deadliest wildfire in California history. Danny was forced to evacuate and was afraid to leave Rhett alone, even for a minute in their apartment--an apartment they had just gotten and had lived in for ten days.Instead he put Rhett in a basket of clothes and ran towards the car in the parking lot. He also picked up his friends’ in-laws who Janell said may have died if Danny didn't save them. Eventually both parties met up in Chico. Janell was relieved that their other kids were in Yreka with their birth mother and that her extended family had also escaped the blaze. Even her three dogs were safe with family members in Jackson, California. The Goupils could see the extent of the fire at night, where red flames engulfed their entire hometown. "From the outside of Chico you could see the glow of the burning," she said, and then after several days of phonecalls and organizing, the Goupils made a decision. "My husband and I looked at each other and were like ‘we’re going to Humboldt,’ what are we gonna do?" Going back to Paradise wasn’t an option for the family. Their home was burned like much of the area. Janell’s family restaurant-Jaki’s Hilltop Café in Magalia- did survive the fire, but they couldn’t re-open a restaurant in an area with no running water, no electricity and no people living there. “It’s like you never really know how you’re really going to get hit with it because there’s complaining about not being able to shop or this or that. or bills. And then you get everything taken away from you, its kind of like ok, ‘refocus’ what’s really important," Janell said, but noted that she's grateful that her family is alive and being blessed as they relocate to the North Coast. Humboldt County isn’t a new place for the Goupils who would often vacation in Trinidad. The family now says it’s like they never have to leave vacation-which is bittersweet for Janell, but she’s trying to maintain a positive attitude. "I try not to fall apart, in general, as a human being. There’s too much going on in the world to fall apart. And when you have people relying on you then you really can’t fall apart," she said. 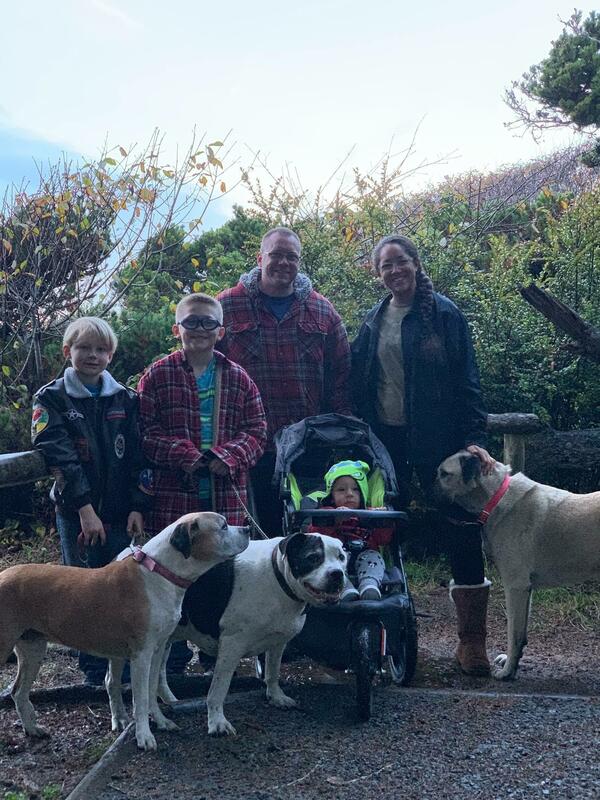 The Goupils have a Go Fund Me started, but they say the larger part of the blessings is that they’ve recently been approved for a house in McKinleyville—a house that allows dogs and is close to the kids’ new school. “It’s a neighborhood with sidewalks and fenced yards and things that we have always been shooting for or talking about or wanting and it’s on the coast and it brings tears to my eyes because it could be everything we’ve ever wanted, we just had to lose everything first,” Janell said as she hugged baby Rhett, who fell asleep in her arms. The Goupils also have an Amazon Wish List for those wanting to help with specific items. One critical item that Janell said they need is a truck bedcover for their Toyota Tacoma. District 2 Assemblymember Jim Wood spoke to NPR News this morning about his work as a forensic dentist and helping identify victims of the Camp Fire in Paradise, California. As of this morning, 63 people have been confirmed dead and 600 are still listed as missing as a result of the Camp Fire. **UPDATE: Cal Fire has reported more fatalities due to the Camp Fire. Officials have confirmed 56 people are dead. The additional deaths were found in the town of Paradise. Close to 300 people are now reported missing. Cal Fire also released this video on Governor Jerry Brown's visit to Butte County. Cal Fire and Butte County Officials update information on the Camp Fire on Tuesday, November 13, 2018. Cal Fire held a press conference on Tuesday night to discuss recent updates on the Camp Fire in Butte County. They’ve reported that the fire has burned 130,000 acres and is 35 percent contained. So far 8,817 structures have been destroyed with 7,600 being residential homes. The Butte County Sheriff's Office reports that close to 52,000 people have evacuated and about 1,385 people are in shelters. Hundreds of people are also reported missing or unaccounted for. On Tuesday, more fatalities were reported by Police Sergeant Darren Wyatt who updated the community. **UPDATE: The Camp Fire has now killed 42 people which makes it the deadliest in California history. On Monday, firefighters discovered the remains of 13 more victims. The fire has now scorched 117,000 acres and is 30 percent contained. According to the Butte County Sheriff's Office more than 200 people remain missing. The Butte County Sheriff's Office also posted an update on road closures via Twitter. They state that the Evacuation Warning for the area of Thermalito is lifted. This includes the area of Highway 99 east to Highway 70 from Highway 162 north to Highway 149. Cal Fire and Butte County officials updated the community on Thursday night. They stated more than 600 people are now reported missing in Butte County. Additionally, seven more bodies were found. In total, 63 people are dead. This number could change as new information comes out from the Butte County Sheriff's Office.